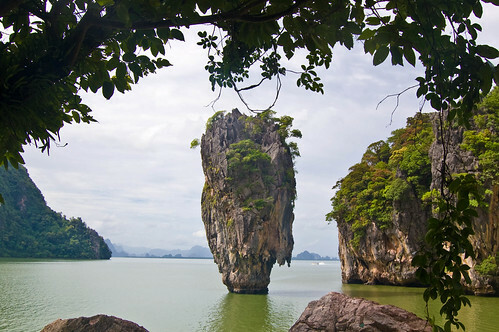 This tiny 20 metres tall rocky Islet located in the Phang Nga Bay, Thailand is officially named Ko Tapu (English meaning: Nail Islet). 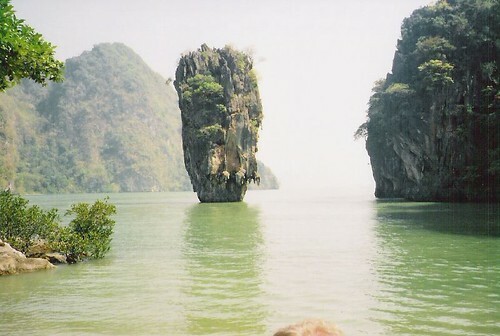 After release (1974) of James Bond's Movie "The Man With Golden Gun", in which this Island was used in back ground of a scene, every one started calling it James Bond Island. 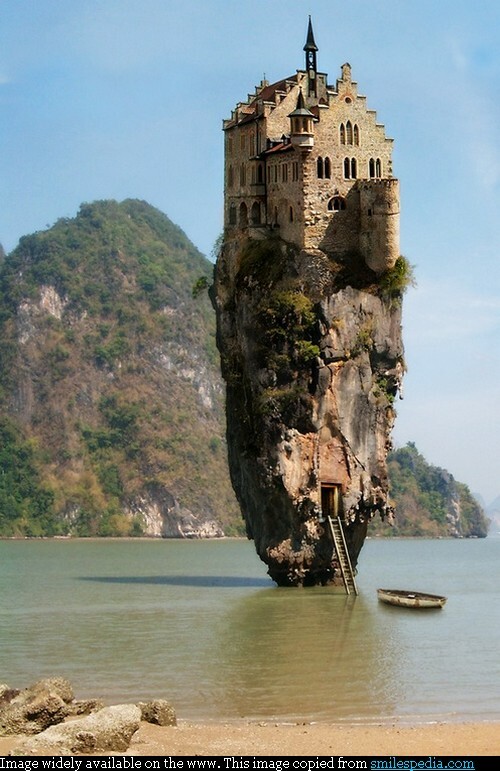 The name has stuck and it is now a very popular tourist attraction. 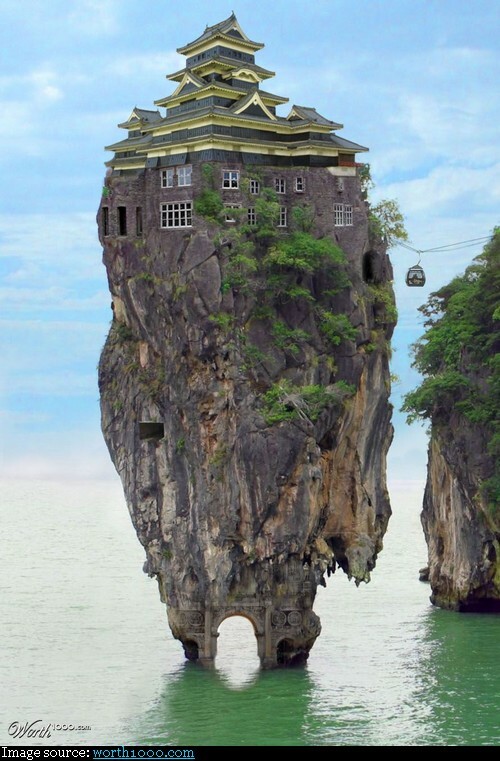 Almost all the tourists who visit Phuket make it a point to take a boat ride around this rock. 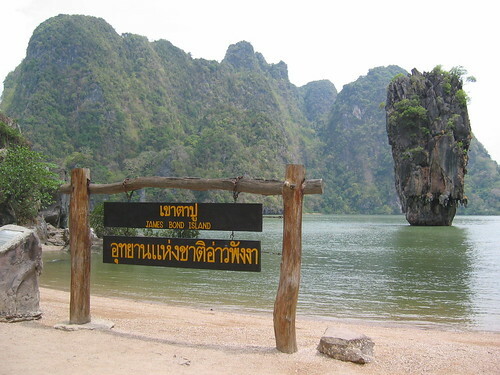 Video clip from the "The Man With Golden Gun" with this island in background can be seen in the initial few seconds of this YouTube.